Where there is a wheel, there is a way, or in this case, a tire! There was a time when human kind thought of burning tires as the only way to get rid of all the punctured waste. However, with a little bit of innovation and thought, these waste tires can actually be used for several practical purposes! 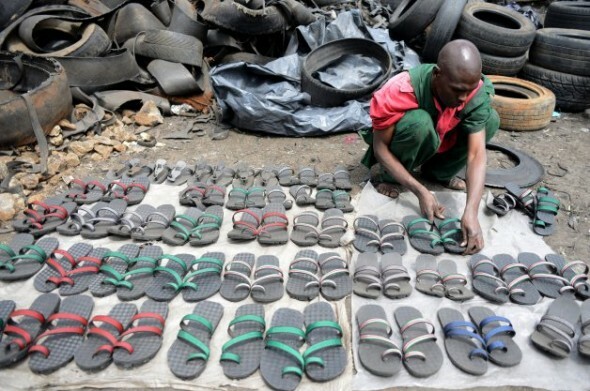 Tiny companies in Kenya have realized the potential in recycling tires and have begun refashioning old tires into sandals that sell for $2 to $5. In the United States, about 35,000 used tires were recycled into $25 flip flops by Detroit Treads and University of Michigan students. Pharrel Williams unveils happy clothes made from recycled plastic! Pharrell Williams made the world happy with Happy. Now, he’s making environment-soldiers happy with his latest move! The singer recently teamed up with Amsterdam-based G-Star Raw to launch a new clothing line called ‘Raw for the Oceans’. The line includes shirts, jeans, sweaters and, pretty much obviously, hats, all made from Return Textiles’ eco-friendly Bionic Yarn. This multi-layered fiber is made from recycled plastic harvested from ocean garbage, making Williams’ release eco-friendly! Well, if you don’t have an iPhone, or to be more precise, if a broken iPhone is what you’ve got, you’ve also got the raw material for some pretty pieces of artwork! 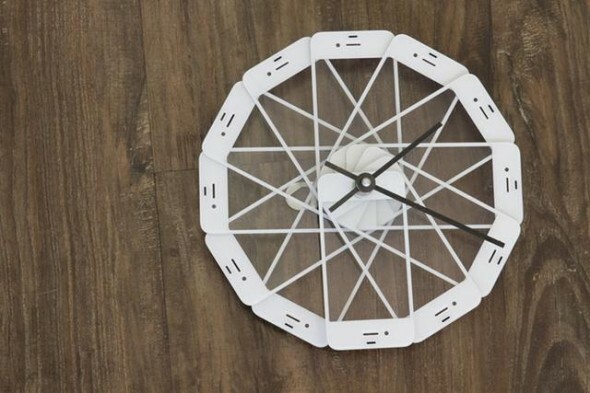 Gadgets like the iPhone do meet their end sooner or later by way of accident and instead of mourning the demise of old iPhones, repair company, Twice Used, is using broken iPhone components to create fabulous furniture pieces and art! Using throw-away parts including broken shells, screens and the like, Twice Used has come up with a range of awe-striking creations. Smoking cigarettes destroys your lungs, but that isn’t all the damage these death-sticks do. Cigarette butts are known to choke drains and pollute the environment, given the fact that they take particularly long to blend back into nature. 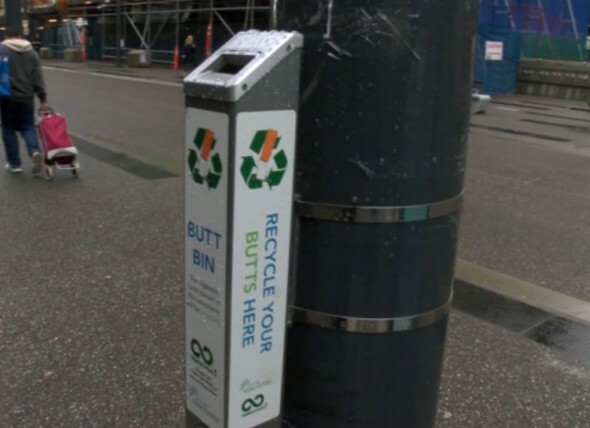 The City of Vancouver decided to give the environment some relief from these destructive cigarette butts and came up with the first recycling program to put to rest these remnants of human vices. Cigarette Waste Brigade pilot project kicked-off with the installation of 110 recycling receptacles. Like we’ve always said before, nothing’s garbage. With the right innovation and determination, trash can be turned into something as eye-catching and completely awesome as this Darth Vader helmet. 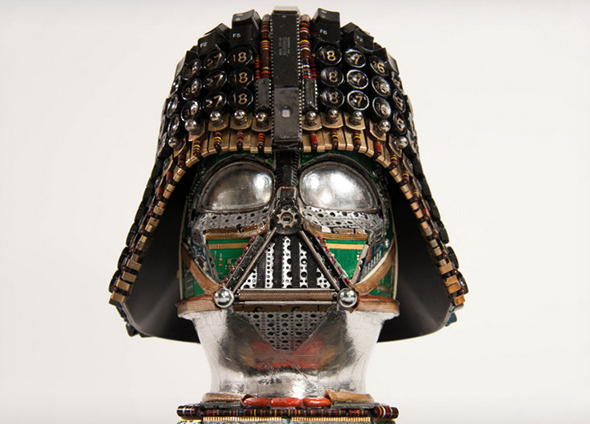 Good enough to make the evil fellow from the Star Wars franchise take over the planet earth just to get his hands on it, this helmet was created by Gabriel Dishaw, an artist who put to use parts from typewriters, machines, and old computers! What do a few of us do when our clothes turn old? Well, we stuff it all inside bags and toss them away! 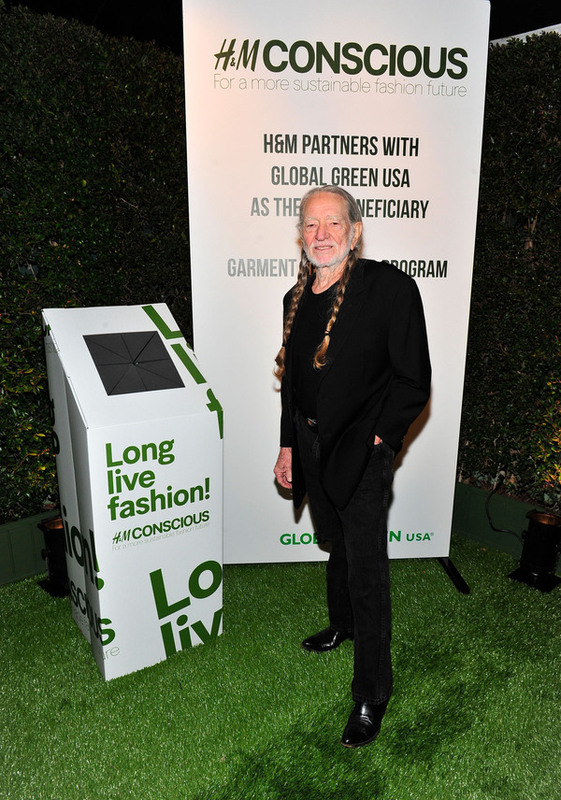 H&M wishes to bring a change in this process and has made a significant contribution to the global recycling movement. The fashion retailer recently launched a new worldwide apparel-recycling initiative that helps donators make a few bucks from the recycling of their old clothes, while keeping intact the natural resource reserves. 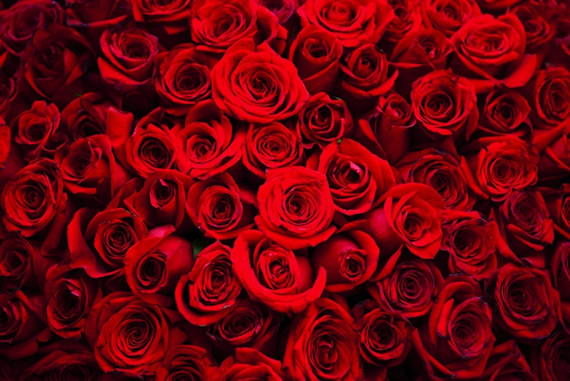 Just to put a dampener on your Valentine’s Day, those roses you just bought your girlfriend have helped contribute some 9,000 metric tons of CO2 emissions. Up to 100 million roses are grown each year for Valentine’s Day, contributing more in carbon emissions than most other crops. This is mainly due to the fact that they have to be grown in tropical climates, flown around the world, then transported in temperature-controlled trucks before they can reach your loved one. 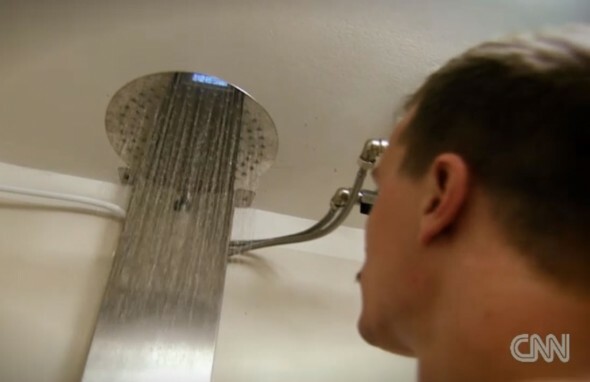 It doesn’t even make a difference if you buy closer to home. A study at the University of Cranfield, England, has shown that 12,000 roses from Kenya emit 13,200 pounds of CO2, while the same amount grown in nearby Holland are responsible for 77,150 pounds of the gas. Let’s not even get started on the amount of water they consume, and the fertilizers used to make them grow fast and strong. Will I Am and Coca Cola have teamed up on an upcycle initiative to educate consumers about waste and recycling. Their new brand ‘ekocycle’, features a funky range of clothing, headphones and smartphone cases made almost entirely from waste plastic and aluminum. 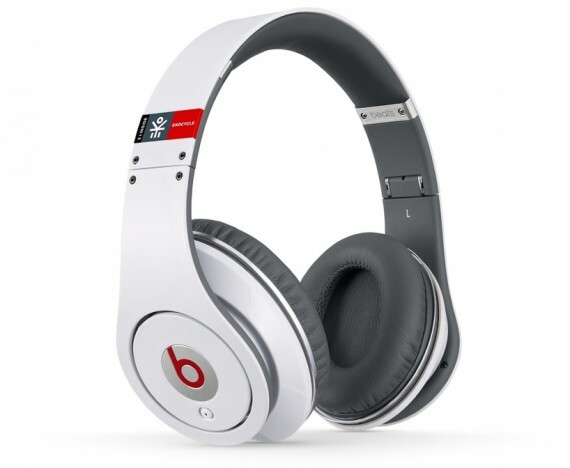 Their ‘beats by dre’ headphones are a fusion of quality sound, technology and PET plastics – although they only contain a disappointing 31% of upcycled materials – more of a token gesture than significant step towards serious upcycling. Shipping containers have always been a particularly “huge” mess to clean up once retired. However, abandoning these in shipping yards certainly isn’t the best way to put these large chunks of metal to rest. 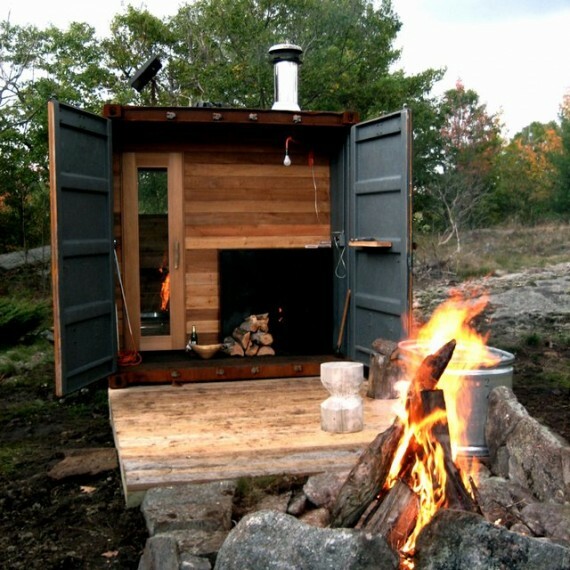 The Canadian design studio Castor Canadensis has come up with a fantastic way to recycle old shipping containers, turning them into traditional wood-burning steam baths called Sauna Boxes.